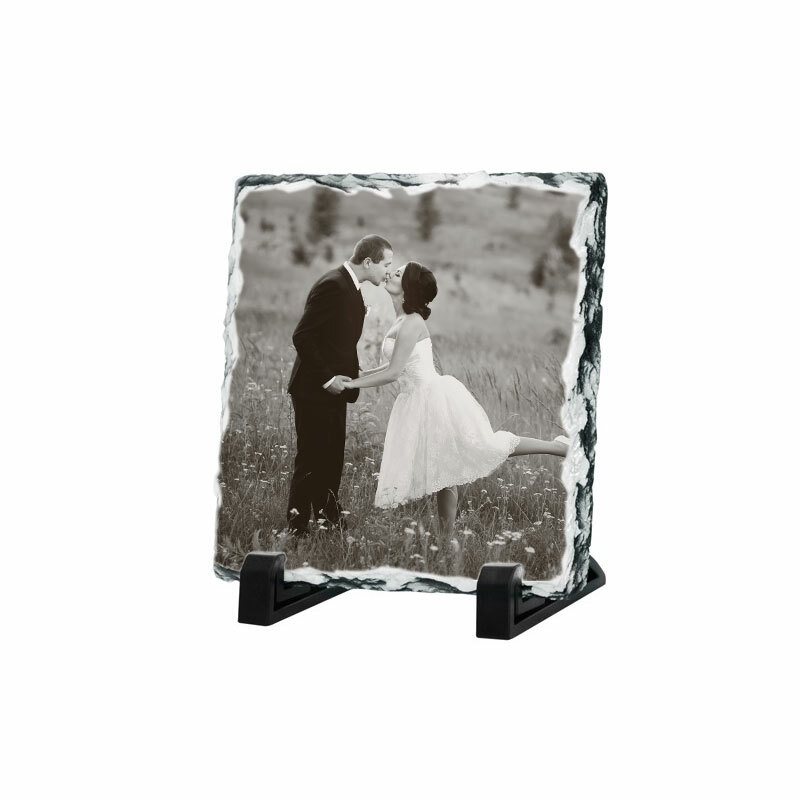 Let us create a beautiful photo slate keepsake for your recipient. 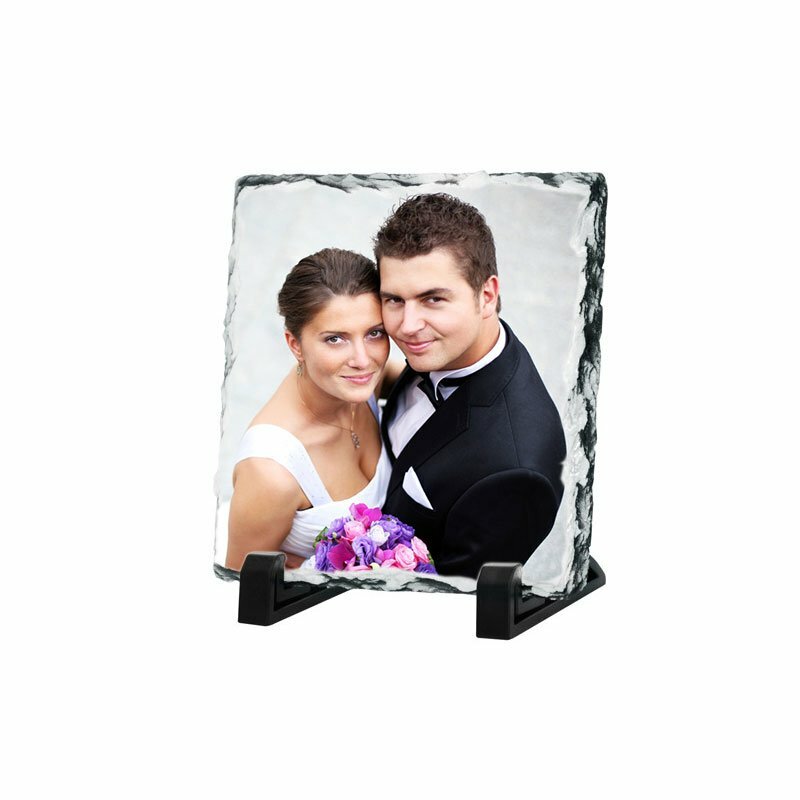 Upload your favorite photo and we'll print it on these unique product with a glossy finish. Photos of you for Mum & Dad, your children for Granny and Grand-dad, the newly-weds, the graduate, the ideas are endless. All will be treasured for years to come! The photo slate is designed specifically for full-colour photographs making a stunning and natural presentation. Each piece is handcrafted with chiselled imperfect edges to make any image a truly unique showcase. They are ideal for cherished images of every kind including full-colour photos, awards, and other valuable keepsakes. 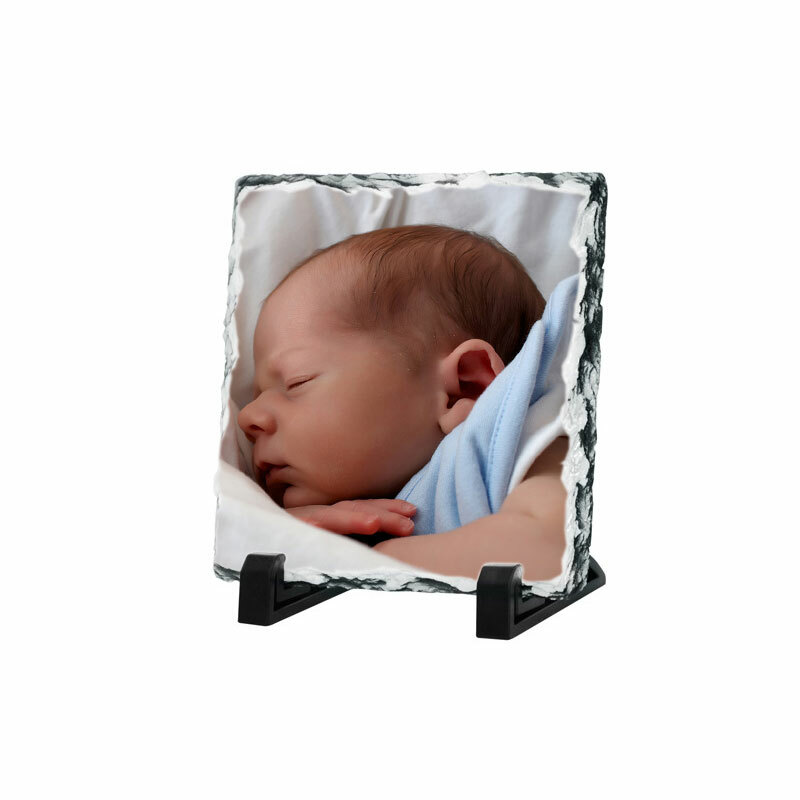 Made from natural sedimentary stone, each Photo-Slate comes complete with a stylish black plastic stand and box. When uploading the photos, the larger the photo resolution/size the better, but no bigger than 15MB in size. The photo should be portrait (longer than wider), however we can crop if necessary. The Photo Slate is 20x20cmcm (7.87"x7.87"). We will layout the photo to fit best on the slate.